NYC student John Collier (inset) was arrested near Boystown on Sunday evening, police said. An Uber driver’s “displeasure” with two men kissing in his back seat led to a violent outburst that ended with a passenger going to jail Sunday evening in Boystown. Visiting New York City student John Collier, 25, was with an unidentified man in the Uber as his car approached Halsted Street around 9 p.m. When Collier and the man began kissing, their driver “expressed his displeasure” and a verbal altercation broke out, police said. The driver pulled over in the 700 block of Addison, just east of Halsted, and kicked the two men out. Hyper-local coverage of stories you'll see nowhere else. It's what we do. Support our efforts by subscribing or contributing to our operating find HERE. Thank you! Collier proceeded to yank off the passenger-side windshield wiper and subsequently punched the driver in the mouth, according to prosecutors. He’s charged with criminal damage to property and battery. Police said the 56-year-old driver showed no signs of injury. An Uber spokesman said the driver has completed over 7.500 trips without any complaints about anti-gay behavior. Even so, “we don't tolerate discrimination of any kind and are looking further into this,” the company said. Allegations of intolerant rideshare drivers are not unique to Uber. 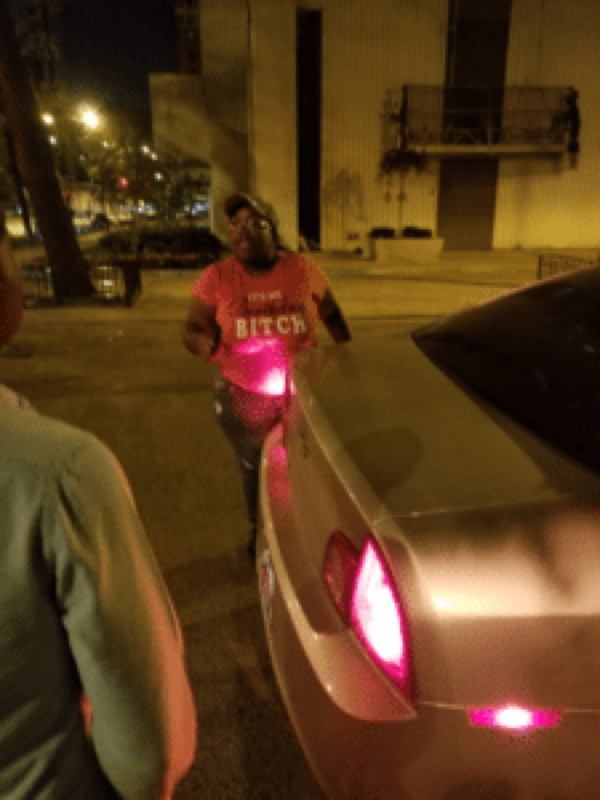 In September, 25-year-old Lyft driver Jaleesa Rance was accused of pulling out a handgun and threatening two men on a Boystown side street after they told her that she made a wrong turn. Rance was charged with two misdemeanor counts of aggravated assault with a deadly weapon and one misdemeanor count of unlawful use of a weapon on a public street. A handgun was recovered from her vehicle, according to police. Her next court appearance is March 14. In December, Rance’s two passengers filed a lawsuit seeking in excess of $50,000.